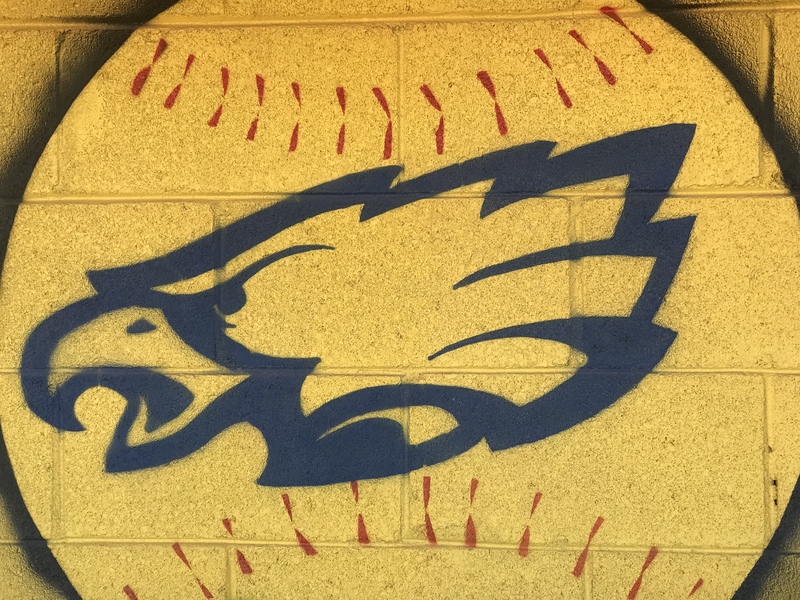 Coming off of yet another winning season, the Bourgade Catholic softball team looks to remain dominant as the Golden Eagles head into the new season with conference, roster, and coaching changes. 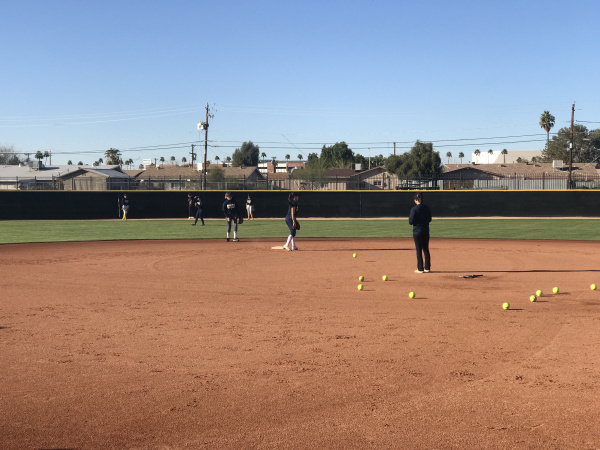 Michael Espinoza is just the second person to serve as Bourgade Catholic’s varsity softball head coach, a position previously held by JinHee Huff from 2007-2018. So far, Espinoza’s transition has been “smooth,” with him being pleased with the work ethic and dedication he’s seen during preseason workouts. “They want to do well, and they want to win,” he said. Senior pitcher Olivia Sitcler, who has been on the team since her sophomore year, acknowledges Espinoza’s coaching style as “different” than her previous coach but praises the new system as one that will lead to good results. The Golden Eagles will begin the 2019 season in a new conference and divisional section. With the recent realignment of the 2A and 3A conferences, Bourgade Catholic was moved out of the 2A Conference/Metro West region and placed in the 3A Conference/Metro West region. The Golden Eagles hope to dominate the teams within their new section, as they did within the 2A Metro West last season. Bourgade Catholic finished 8-0 in the region last year with an overall record of 20-9. The team advanced to the 2A regional quarterfinals, ultimately losing 16-10 to the Morenci Wildcats (20-12, 9-4). The Golden Eagles had six seniors on the team (Daisy Hernandez, Emme Maciel, Rachel Hammons, Alexia Flores, Lindsey Rodriguez, and Mallory McDowell) who graduated last year. All six girls made the varsity team as freshmen. As one of three seniors on the team, Mayers recognizes the work that needs to be done in order to be successful on the field, classifying this season as a “rebuilding” year. Mayers intends to pass down what she’s learned over the past few seasons to the younger players, ushering in a “new era” that she’s excited to see develop and grow. Senior outfielder Giavannaa Fimbres returns to the Golden Eagles having the same mindset as Mayers. Bourgade Catholic will see their first action of the year when they host the Trivium Prep Lady Knights, who were ranked 8th in state last season, in a scrimmage game Thursday. Bourgade Catholic softball team run team drills during their Friday practice. (Photo: Erica Morris/AZPresps365). More than anything, Espinoza is looking forward to the girls playing against another team and evaluating whether they can adapt in game situations. “That’s the beauty of a scrimmage,” he said. The Golden Eagles begin the season when they face Coronado at home on Feb. 27 and then go on to play Chandler Prep, Parker, and Tonopah Valley in the PCDS Desert Classic tournament, March 1-2. The team will be without their seniors and juniors as they go on a spiritual retreat, leaving Coach Espinoza with a younger, inexperienced group. “It’ll be a good test for them,” Espinoza said.